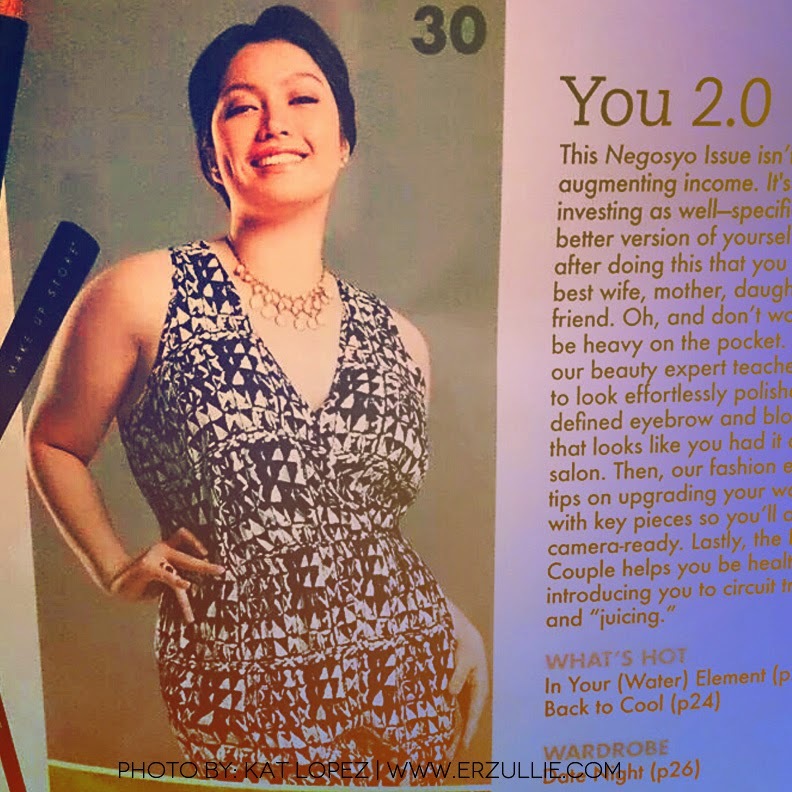 PLUS SIZE NEWS: ERZULLIE ICON KAT LOPEZ IN CELEBRITY MOM MAGAZINE JUNE 2014 ISSUE! 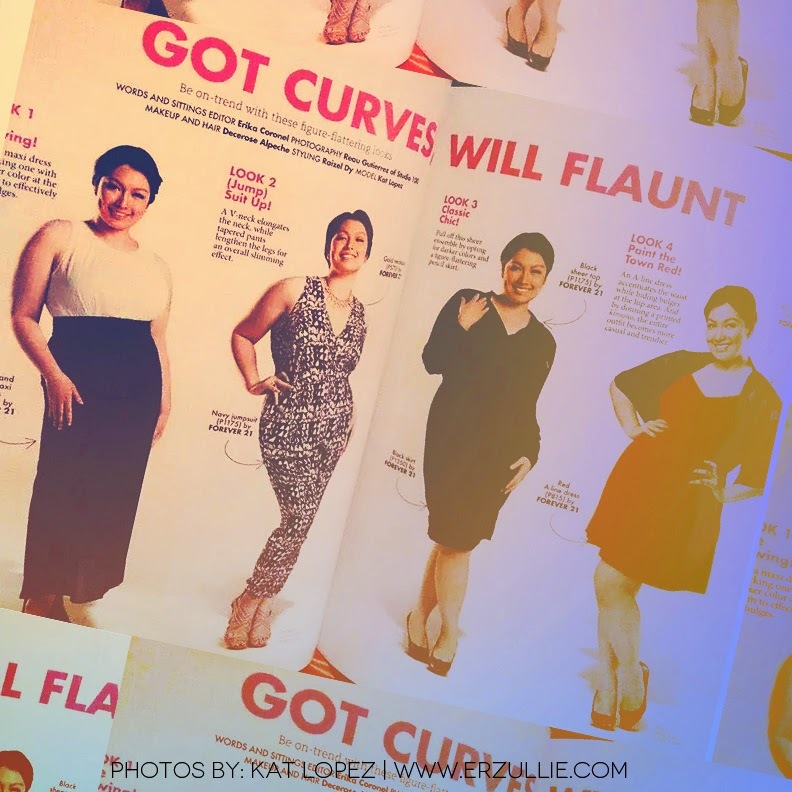 Another Erzullie Icon is making waves in the local fashion industry --- Kat Lopez just graced the pages of Celebrity Mom magazine and is now the 2nd plus size model to be featured in the said glossy! This curve is definitely going places. She is currently nominated for Best New Artist for Wave 89.1’s Urban Music Awards (UMA) 2014, just finished a bar tour with Homeworkz label (owned by Philippine's Prince of R&B and one of the sexiest men in the music industry --- Jay-R) and in the process of filming her new music video, “Walang Masama (Taba)”. Yep. No one can stop this, Erzulliesta. So move out or get walked on. HA! Erzulliestas, rejoice! To finally correct our fashion clock, we are on the process of finishing our 2015 collections by the end of this year (2014). This is to ensure that all designs are as original as they can get before their release and also, a more exclusive First Look party coming up! Imagine, your closet already set for the 2015 trends even before the year ends. Fierce, isn’t it? We are currently finishing our Pre-Holiday by the end of June (private release on Super Sale Bazaar on July) and are already starting our Holiday 2014 collection production this week to be finished on July. We are aiming for the Corporate and Resort 2015 collections to be finished on August and September, respectively. Hopefully, by November, we end up with a big anniversary Sip and Shop event for the Erzulliestas showcasing all of the 2015 collections along with the 2014 ones. Get ready for a very fierce late half of the 2014, ladies!